"Dexter always had that big sound, from the early days. He's a big man. Stands to reason he's gotta lot of lungs." 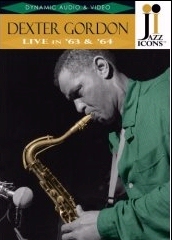 Dexter Gordon--there is a name to conjure with. Veteran listeners will certainly remember him but younger fans probably will not although he was intermittently active during the '50s. To musicians (especially those saxophonists who have been directly or indirectly influenced by him), Dexter Gordon has always been a highly important player. As the first man to synthesize the Young, Hawkins and Parker strains in translating the bop idiom to the tenor saxophone, he was an important contributor. It is not, however, from a stylistic, historical angle that he has been appreciated. Dexter has always been a direct, exciting communicator of emotions; his big sound and declarative attack are as commanding of attention as his imposing height. The owner of an acute harmonic sense, Gordon has never used it to merely run changes accurately. He is a melodist and can also contrast rhythmic figures effectively. His harmonic awareness was a great aid in preparing him to plunge into the new music that was fermenting in the early '40s. Unlike many of his immediate contemporaries, Gordon studied harmony and theory at the age of 13, the same time he took up the clarinet. Due to this, he was able to actively incorporate the beneficial effects directly into his playing as he was growing up. At 15, he started playing alto sax and two years later, in 1940, he quit school, switched to tenor sax and joined the "Harlem Collegians" in his native Los Angeles. From this local band he stepped into Lionel Hampton's aggregation in December 1940 and remained with Hamp through 1943. Illinois Jacquet was the prinicpal tenorman and together they were featured on "Po'k Chops." After leaving Hampton, he returned to Los Angeles where he played with the groups of Lee Young (Lester Young's drumming brother) and Jesse Price. For six months in 1944, Dexter worked with Louis Armstrong's band. Then he joined Billy Eckstine's new orchestra and received a real chance to be heard: the tenor battle with Gene Ammons on "Blowin' The Blues Away;" his own bits on "Lonesome Lover Blues" and several of the modern jazz instrumentals that the band played. Gordon's impact was immediate. You could hear it in the work of his section-mate, Ammons. When he left Eckstine for New York's 52nd Street in 1945, his influence spread like the ripples a large rock makes when it is dropped into a pool of water. Allen Eager's first quartet recordings ("Booby Hatch," "Rampage") showed that he was listening and Stan Getz was captured temporarily according to such sides as "Opus De Bop" and "Running Water." Of course, like Gordon, these players had been affected by Lester Young, but it seemed that in addition to getting inspiration directly from Pres., they were digging the Gordon translation, too. 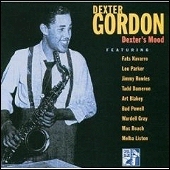 If a 12-inch, Mercury 78rpm of "Rosetta" and "I've Found a New Baby," cut with Harry Edison, demonstrated that Dexter could get very close to Young, the original version of "Groovin' High," made with Dizzy Gillespie for Guild in February of 1945, showed a Gordon who had his own interpretation of the day's material. Gordon worked at the Spotlite Club with Charlie Parker, Miles Davis and Bud Powell and then had his own group at the Three Dueces. The weekly Sunday afternoon sessions at the Fraternal Clubhouse and Lincoln Square Center usually included Dex as part of their all-star line-ups. His presence, before he even blew a note, always had an electric effect on the audience. Gordon returned to the West Coast in the summer of 1946 but not before he had made several recordings with his own groups. He played for two months in Hawaii with C.P. Johnson. Then, in California, in the summer of 1947, he and Wardell Gray teamed up at concerts, after-hours sessions and for their recording of "The Chase." Later that year, it was back to New York and 52nd Street for Gordon but in 1948, he went home again, not to return to Manhattan until the May 1961 trip to record for Blue Note. He revived his association with Gray in 1950 but that soon ended and the next decade was not a very productive one for Dexter. The popularity of "West Coast" jazz left little opportunity for his brand of virile music to be heard in Southern California. Then, too, he was fighting personal demons. In the last five years of the '50s, he made only three record dates (two as leader) and worked sporadically in a small group context. The '60s are a decade of new promise for Gordon. Through playwright Carl Thaler, he became involved in the West Coast version of Jack Gelber's The Connection. 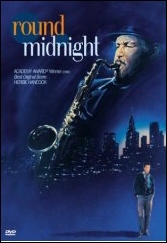 He composed an original score[eventually released by Blue Note as Dexter Calling], led the quartet that played it on stage and held down a main speaking role. His success gave him a new confidence and led to a general revitalization. Although his presence has not been directly felt on the jazz scene as a whole in a long time, Dexter has been with us, in part, through the work of John Coltrane and Sonny Rollins, two of the most important instrumentalists to develop in the '50s. Both owe a debt to Gordon for helping them to form their now highly personal styles. It is interesting to hear how Gordon, in turn, has now picked up on developments brought about by the men he originally influenced. Make no mistake, however, about Dexter. He is still very much his own man. His great inner power stands out in these recordings. He breathes maturity in every phrase he plays, his gigantic sound living up to the kind of musical voice one would expect from a person of his god-like dimensions. 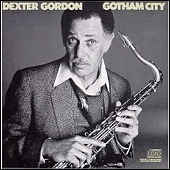 A selected discography of Dexter Gordon albums. Long Tall Dexter, 1945-46, Savoy. Doin' Allright, 1961, Blue Note. Our Man In Paris, 1963, Blue Note. Gettin' Around, 1965, Blue Note. Body And Soul, 1967, Black Lion.